Denver, CO, January 02, 2019 --(PR.com)-- DSR Corporation (DSR) today announces its partnership with Nordic Semiconductor, to bring the power of Zigbee to more developers around the world. DSR’s ZBOSS 3.0 Zigbee 3.0 software stack is now a part of the Nordic Semiconductor offering for the multiprotocol nRF52840 SoC. The licensed by Nordic Semiconductor ZBOSS software was formally certified by the Zigbee Alliance back in September 2018 as a Zigbee 3.0 compliant platform. “Working with Nordic Semiconductor provides DSR a unique opportunity to deliver its production quality software with one of the market leaders, giving a wide range of developers worldwide access to work with a proven solution for Zigbee. The nRF52840 addresses important uses cases for the IoT and connectivity market and helps further unify IoT industry by combining multiple wireless technologies on a single chip to control wider range of devices. 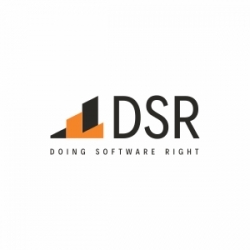 DSR is really excited to be part of this development and appreciates Nordic’s team level of professionalism to build quality software for the market,” says Anatoli Pechkov, CEO of DSR Corporation. nRF52840 is designed around an Arm® Cortex-M4 CPU with floating Point unit (FPU) and provides the ability to support complex and demanding applications as a single chip solution. It offers a wealth of peripherals and security paramount in today's IoT designs. Implementation of Zigbee in the nRF52840 SoC expands Nordic’s already broad portfolio of mesh networking solutions for smart home, industrial, and enterprise industry. ZBOSS 3.0 from DSR is a cross-platform, high-performance Zigbee 3.0 software protocol stack implementing Zigbee 3.0. ZBOSS 3.0 is highly interoperable software and has been used as a Zigbee Pro compliant platform for several Zigbee chipset solutions. This is a market-proven product used to provide interoperability between 200 products for more than 40 companies. ZBOSS 3.0 allows all device roles and has extensive support for various cluster libraries. User-friendly, high-level API supports fast creation of applications on a predictable budget. Built with a fixed memory footprint, ZBOSS does not use dynamic memory allocation, which leads to predictable memory budgeting. Another important stack feature is optimized power consumption: ZBOSS interrupt-driven I/O improves battery consumption and excludes polling. Additionally, ZBOSS utilizes low RAM capacity on the target device with a special technique in handling data structures. DSR Corporation is a professional software and product development firm headquartered in Denver, Colorado. DSR Corporation has been developing products in wireless space since 2001, releasing cloud and Internet of Things (IoT) systems since 2006. The DSR Zigbee offering is an entire suite of software solutions that support Zigbee technology needs. DSR is the ultimate end-to-end IoT partner for many companies around the world. To learn more about ZBOSS 3.0, please visit www.dsr-zboss.com. Zigbee 3.0 is based on the IEEE 802.15.4 standard, which operates at 2.4 GHz (a frequency available for use around the world). This standard provides seamless interoperability among the widest range of smart devices and gives consumers and businesses access to innovative products and services that will work together seamlessly to enhance everyday life. Zigbee 3.0 defines more than 130 devices including home automation, lighting, energy management, smart appliance, security, sensors, and health care monitoring products. It supports both easy-to-use DIY installations as well as professionally installed systems. All current device types, commands, and functionality defined in current Zigbee PRO-based standards are available in the Zigbee 3.0. For more information about Zigbee 3.0, please click here.